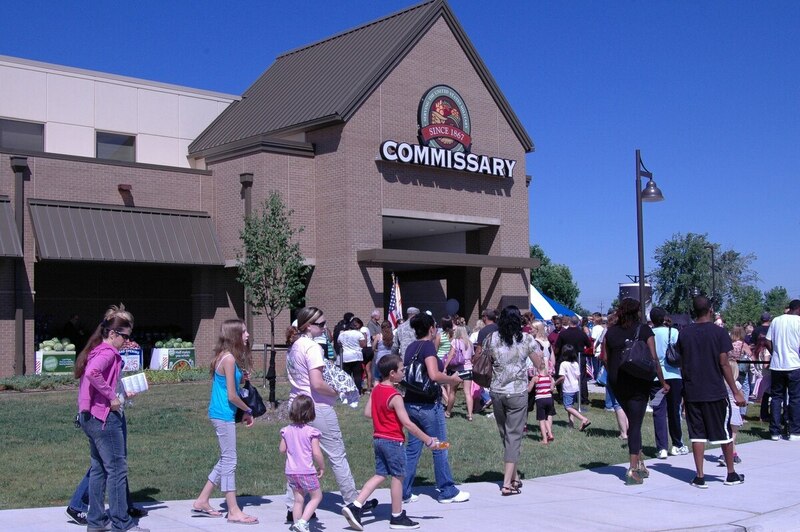 Shoppers save 23.7 percent by using commissaries instead of civilian grocery stores -- lower than the 30 percent savings claimed for years, according to a new analysis by the Defense Commissary Agency. The drop isn't a result of price increases, at least not directly -- it's a change in how DeCA tracks the savings, moving from a solely national model to one that includes a regional comparison of commissary prices with those at nearby stores. "This enhanced way of calculating savings doesn't change the actual dollars that patrons save, but it will give patrons a better understanding of price comparisons in their local area," said Joseph H. Jeu, DeCA director and CEO. Officials now calculate savings in each of eight regions and factor it into the overall savings measurement. The new formula led to a lower percentage of overall savings, according to DeCA spokesman Kevin Robinson. Some advocates question the nearly 7 percentage-point difference in the savings benefit. "I was struck by struck by the regional savings, versus the 30 percent savings. In some regions it was significant and surprising," said Eileen Huck, government relations deputy director for the National Military Family Association. "And across the board, even the global average was more than 6 percentage points less. "What I'm concerned about is whether the value of the benefit is really less than what we've been told all along? What's more reliable -- the old methodology or this new method?" Commissary prices are the same regardless of region; regional savings may rise or fall depending on an area's cost of living or other factors that could affect pricing. Savings calculations include applicable sales taxes on commercial grocery store purchases and the 5 percent surcharge on commissary purchases. Without these taxes and surcharge calculations, the overall savings in commissaries would be 25.7 percent. The highest percent of savings is overseas, where customers at 61 stores save an average of 44.2 percent over stores outside the gate. Next is the Alaska/Hawaii region, where the nine stores save customers an average of 32.6 percent. That puts the U.S. average savings at 20.2 percent for 177 stores, with a global average of 23.7 percent (238 stores). The savings calculations set an important benchmark. As defense officials move into new pricing systems sometime this year that allow them to raise prices on some items to help fund commissary operations, the baseline will allow DeCA and Congress to monitor the savings to ensure that the benefit isn’t adversely affected by lower overall savings. "Military families have been told for years that when they shop at the commissary regularly, they can expect to see a 30 percent savings. This report says that's not what they're going to see moving forward," Huck said..
"It may reflect what it is, but it certainly sets the benchmark going forward lower than what military families have been told." Defense officials over the last several years have pressured commissary officials to reduce the amount of taxpayer dollars required to operate the 238 commissaries worldwide – currently about $1.4 billion. Congress, at the request of defense officials, allowed the commissary officials to test a system of variable pricing at some point this year, raising the prices of some items and lowering the prices of others. Commissary officials have also contracted with a company to start offering some private label brand items, sometimes known as generics, and officials expect to make profits on these items. These pricing changes will mark a fundamental shift in the way commissaries price their groceries, moving from a system where commissaries sell groceries at cost plus a 5 percent surcharge that is used for construction and renovation of stores. An additional 1 percent is added to the cost of items to cover loss and spoilage. By using the taxpayer funds to pay for operational costs like employee salaries, officials haven’t had to mark up the cost of groceries. Congress, at the request of Defense Department officials, mandated that the commissary agency update the methodology it uses to calculate customer savings. The savings percentage was previously calculated by comparing commissary prices on about 38,000 brand name items to the prices of those items in civilian grocery stores, using pricing data from Nielsen. The prices were averaged across the year and across the board on every item. Now, in addition to that comparison, DeCA is doing market basket comparisons between commissaries and local stores. They've contracted with a company to manually compare local prices on about 1,000 products, which are representative of a shopper's typical market basket. Not every commissary will be included in the market basket comparison every quarter; it will be a rolling process where commissaries are included at some point during the year. Their prices are compared with two to three local civilian grocers, including "super centers" such as some Walmarts, in close proximity to the commissary. Advocates have asked for transparency in the process of changing the savings baseline calculations, and how DeCA officials will move forward; this is a step in that direction, Huck said, but questions remained about which products were chosen for the comparison. "We've been concerned about the value of the benefit for the people who need it the most -- junior families," Huck said. It's not clear whether diapers and baby food, for example, are among the items that are compared across the spectrum. This local comparison adds an element to the comparison that's based on a snapshot in time, said Tom Gordy, president of the Armed Forces Marketing Council, an association of members of industry who supply products to commissaries and exchanges. For example, a civilian grocery store may put bananas on sale at a deep discount for a week to bring more customers into the store. In addition, a number of civilian grocery stores located near military installations price their items to compete with commissaries, but many commissary customers don't live directly outside the gates of military installations. Until now, commissary prices were required to be uniform at all commissary stores. But the new tests will allow commissary officials to increase prices on some items, and lower prices on some items, in order to make money overall. "In theory, nothing changes for the patron in terms of prices," Gordy said. With the new variable pricing system, he said, "the devil will be in the details. DeCA may decide to take a loss on bananas, but something else will go up in price." Karen Jowers covers military families, quality of life and consumer issues for Military Times. She can be reached at kjowers@militarytimes.com .